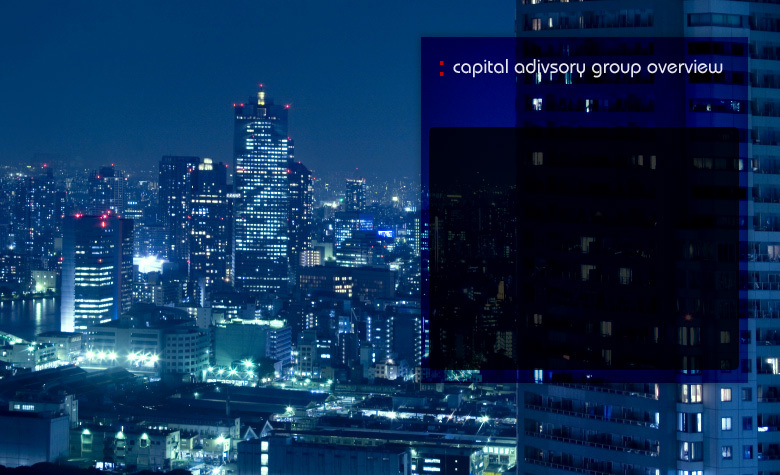 Capital Advisory Group ("CAG") is a highly specialized real estate finance intermediary. We offer direct access into the ever-changing world of institutional and non-institutional real estate investment capital providers, both domestically and internationally. The Principals of our firm have many years of commercial real estate experience with knowledge in all types of income producing properties. Capital Advisory Group's commitment is simple... Provide our customers with the right combination of debt and/or equity to deliver the appropriate risk reward profile for their transaction.